Dimensions 1.25 by 7 by 6.50 in. About: Despite the theory’s age, The Blind Watchmaker is as prescient and timely as ever. 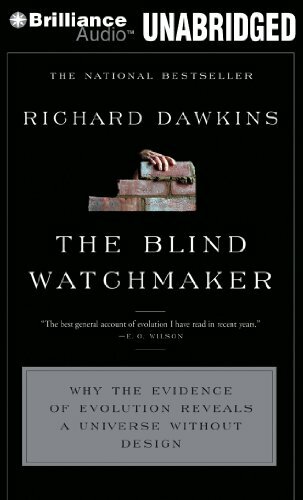 With Richard Dawkins | Mp3 una edition from Brilliance Audio Lib Edn (January 3, 2012); titled "The Blind Watchmaker: Why the Evidence of Evolution Reveals a Universe Without Design: Library Edition"
About: Despite the theoryâs age, The Blind Watchmaker is as prescient and timely as ever.